Unless you have been living under a rock, you have probably heard about the game known as Fortnite. Fortnite is game available on almost all platforms that drops 100 players into a map with one goal—be the last one standing. As a free-to-play game, many people have accessed and played the game from PC, Xbox, PS4, and even mobile. 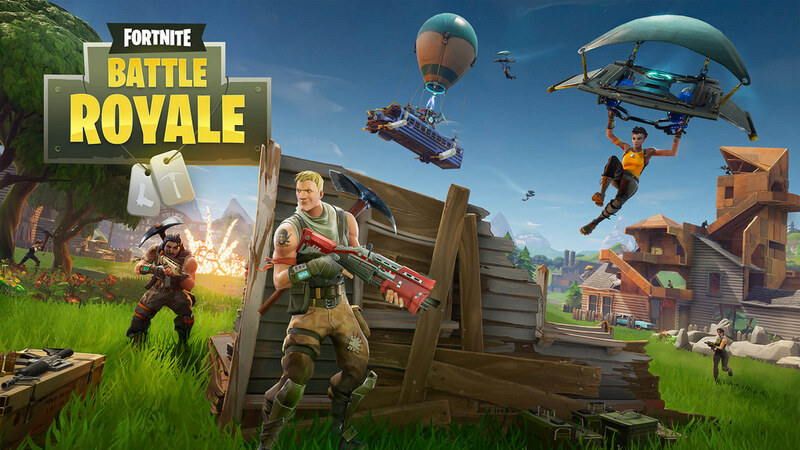 While numbers for the amount of people who have played the game are not available, Fortnite recently broke the record for largest amount of players playing at 3.4 million concurrent players. Comparing this to other games with similar numbers, this means the game has easily been played by over 25 million people. The game features one large map, so it is never too crowded for the 100 people in a game. Because of this, there are multiple places for players to drop into. These include alliteratively named towns such as Tilted Towers, Dusty Depot, Tomato Town, and many more. This allows for a large variety of gameplay options, but naturally, most people have favorite places to go. There are many things for even the most veteran players to improve upon in Fortnite. In order to win, players must have sharp aim, skilled building, and good awareness of their situation. Overall, many students and people all around the world are currently enjoying the wildly popular game known as Fortnite. If it continues its upward trajectory, people may still be playing it for years to come.